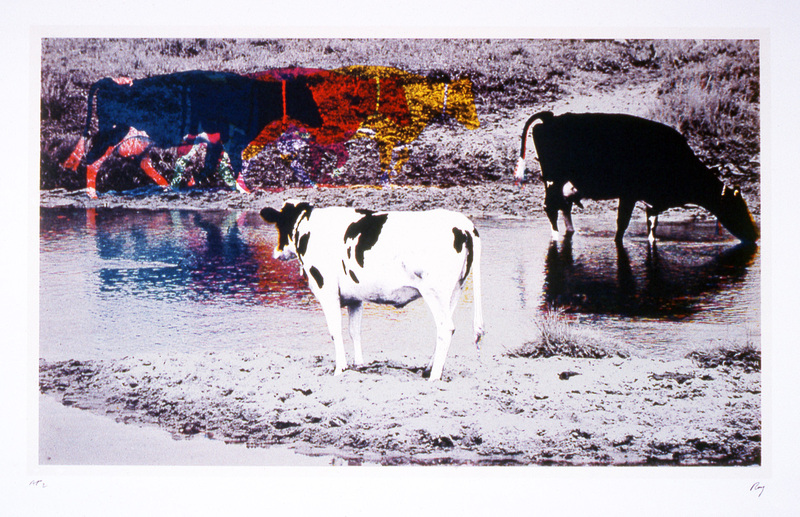 Artists-Research-Technology, Inc., was a collaboration of printmakers based in western Massachusetts, that in the late 1970s, began using mechanized offset lithography as an alternative to more traditional lithographic techniques in the production of limited-edition fine art prints. On the commercial press of Hamilton I. Newell, the artists avoided merely adapting artistic processes to offset, placing innovative demands on themselves to explore the intersections of technology and fine art. An extensive body of prints by the key participants (Ron Michaud, Hanlyn Davies, Oriole Feshbach, Hiroshi Murata, John Roy, Dale Schlaeppi, and Larry Spaid) were exhibited nationally and internationally. The ART collection consists of photographs and original prints by the key members of the ART collaborative, along with phootgraphs, scans, correspondence, minutes of meetings, publicity, a videotape, and other material relating to the project.